Work#9 | Web Design Portfolio | omigapun! 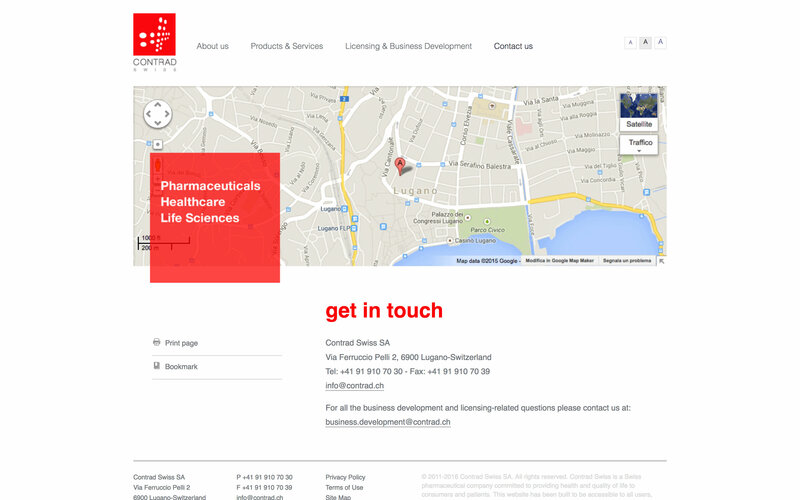 Branding from scratch for Lugano-based pharma company. 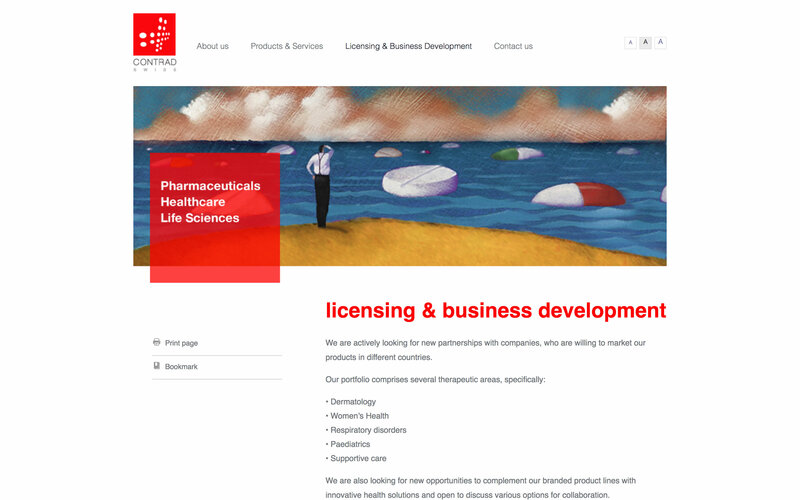 The choice of using custom illustrations rather than realistic photos contributes greatly in portraying a distinctive brand personality. Omiga has done a fantastic job for us. 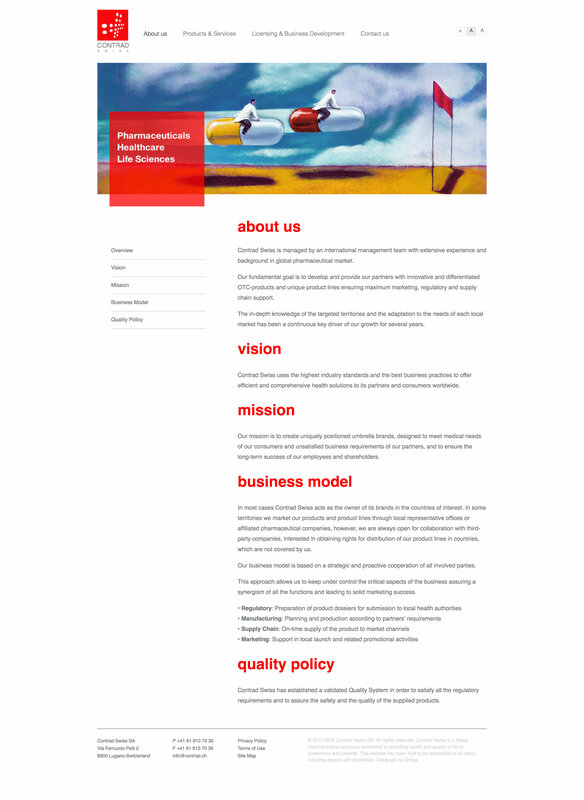 We were attracted by clear and simple concept of Omiga's previous projects and asked her to design the logo and website for our company. In addition to high-class professionalism, Omiga demonstrated an amazing flexibility and ability to think out-of-the-box. 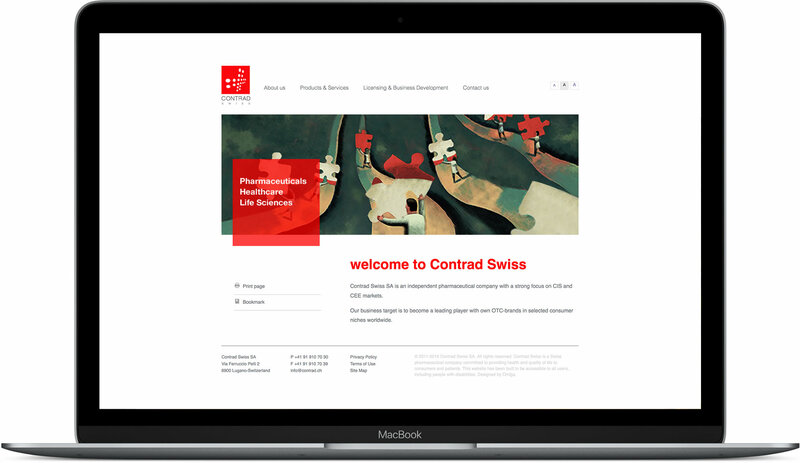 She offered an unconventional solution for our project and developed an unusual and distinctive corporate style for Contrad Swiss. We will be happy to continue our collaboration with Omiga in the future on this and further upcoming projects.